I am combining October 2 and 3 for two reasons: there was no WIFI in O’Cebreiro and I could not post and second today was spent walking in the rain. I think I took a total of five pictures and that was after I got to Tricastela. 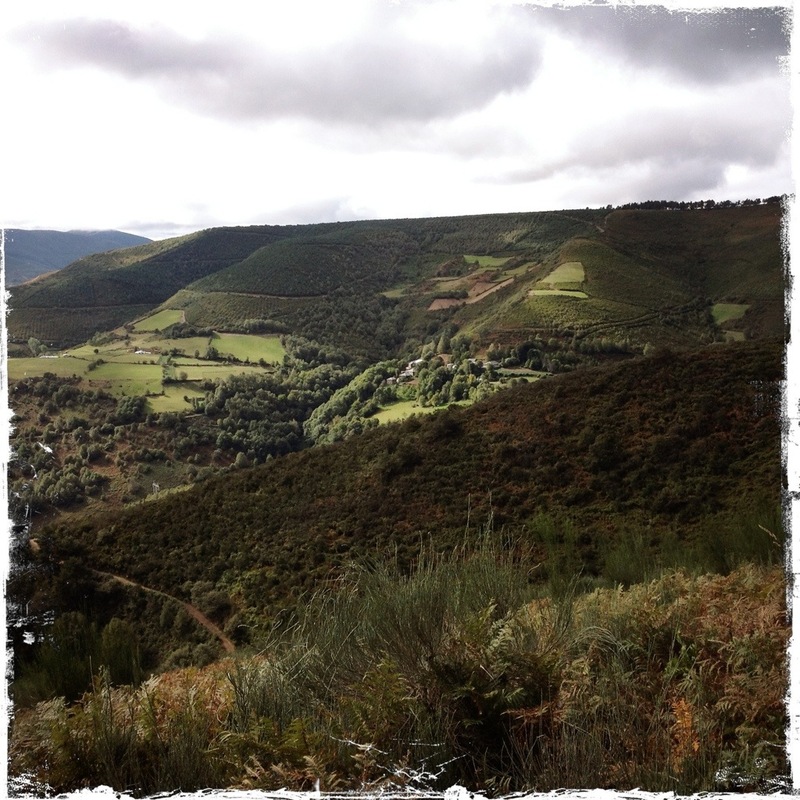 The walk to O’Cebreiro was just fantastic. It was clear, sunny and warm. There were stunning pastoral views on both sides of the valley. One the Leon Castilla and the other the Galicia Santiago. It was truly beautiful to look over the valleys seeing the shades of green and being in awe as to how far we have travelled. 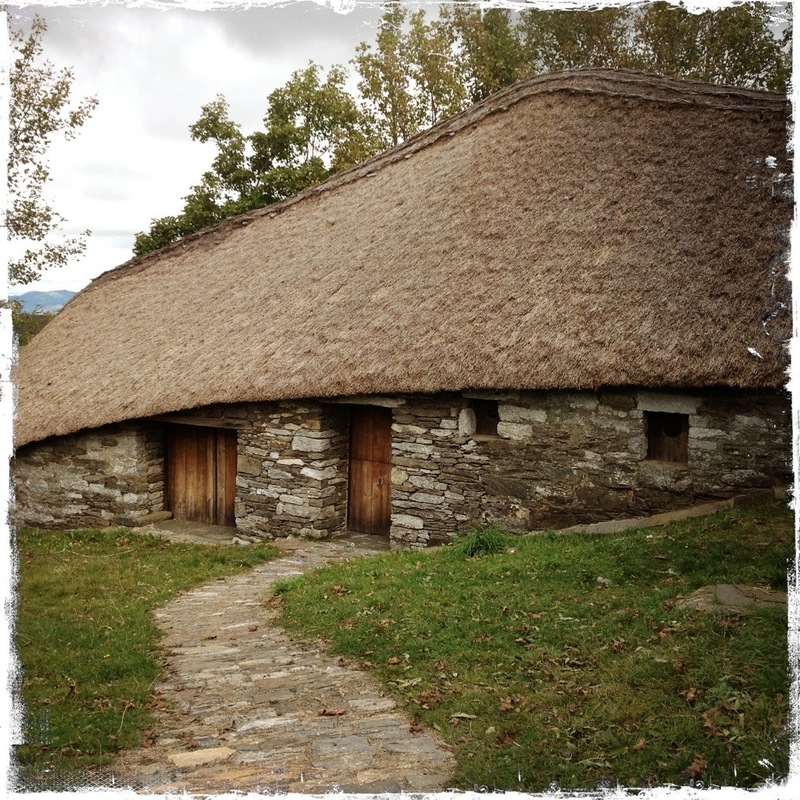 O’Cebreiro is in the top twenty of the places to see in Spain. The hamlet’s round, thatch-roofed pallozas are a distinctive form of rural architecture once found across Celtic lands from Africa to Scotland. 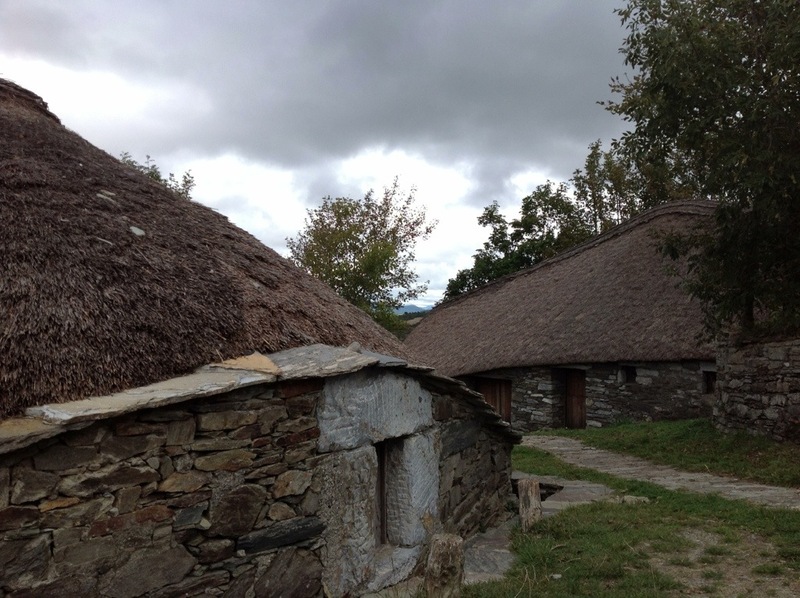 Their round walls and conical thatched roofs aerodynamically deflect the strong mountain winds. Chimneys would interfere with the tight weather defences, so smoke escapes through the thatch itself curing the sausages and hams that hang from the ceiling as the smoke escapes. 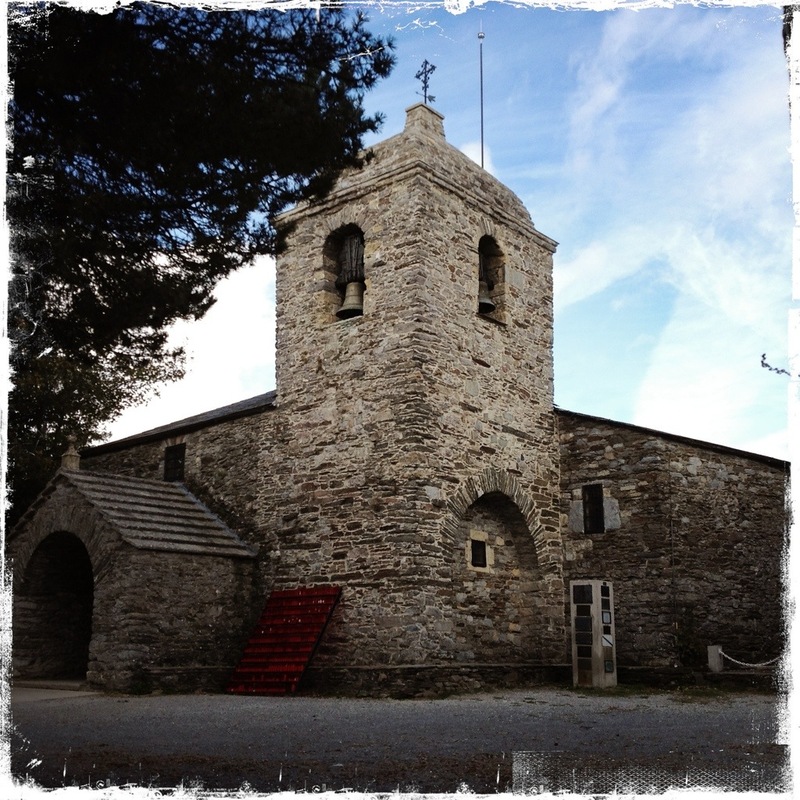 O’Cebreiro has sheltered pilgrims from mountain storms for centuries. The focal point of the village is the Iglesias de Santa Maria built atop ruins if a Romanesque church. 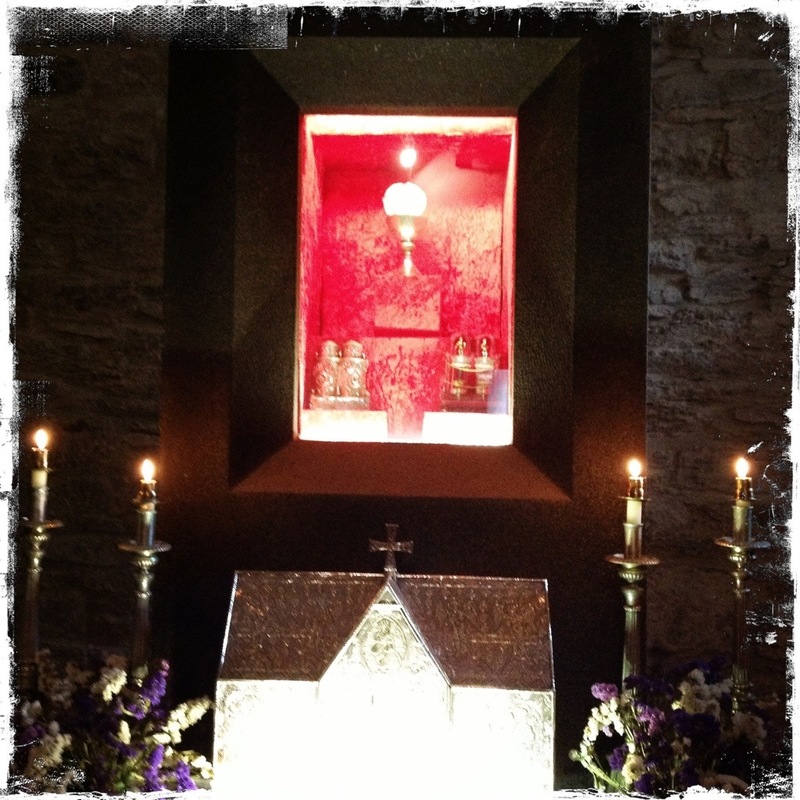 It is believed that the Holy Grail from which Christ drank at the Last Supper was hidden here for safe keeping in the Middle Ages. According to legend, it is said that a German Pilgrim gone astray in the countryside surrounding the river Valcarce, shrouded in dense fog halts and hears in the distance from high up the strains of a bagpipe. 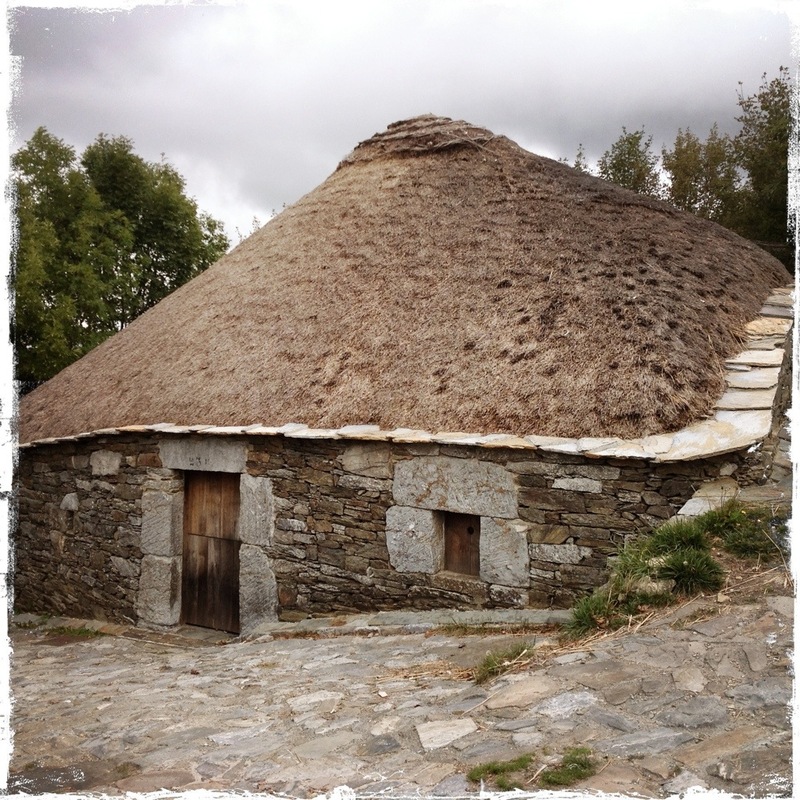 It was the “alala” played by a shepard in the hamlet of O’Cebreiro. It was the Shepard with his sanitize notes that drew the pilgrim to the Holy Grail. Although the grail is no longer here, the remains of the flesh and blood are held in a silver reliquary donated by Queen Isabel. 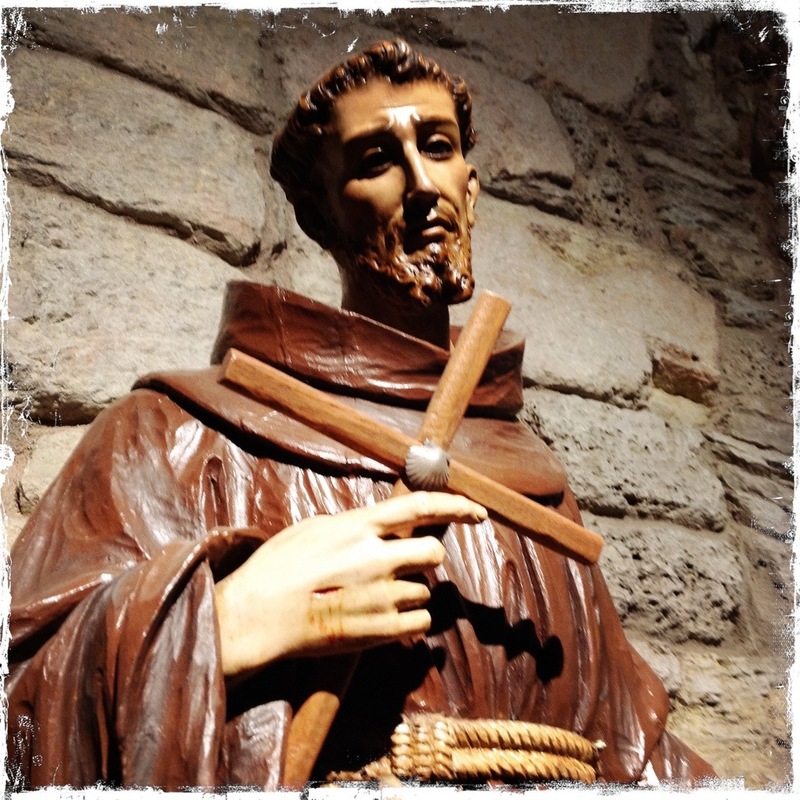 St. Francis of Assisi journeyed thru O’Cebreiro on his way to Santiago. Outside the church, a bust of Elias Valina has a very special place. Valina was a local parish priest who wrote important books in the Camino and we a driving force behind its revival during the 1960s and 1970s. He also did much to preserve O’Cebreiro’s palloza architecture. He was the person responsible to introducing the directional yellow arrows along the Camino. From a sunny, clear day, we awoke to rain and the valley shrouded in mist. That was the majority of the 21.3 kms to Triacastela. It was all down hill and at places the going was extremely rocky and slippery. We made it into Triacastela at about 3:30 pm. It was sure nice to have a hot shower and some warming food. Triacastela is a small village that once was home to three castles from which comes the name. 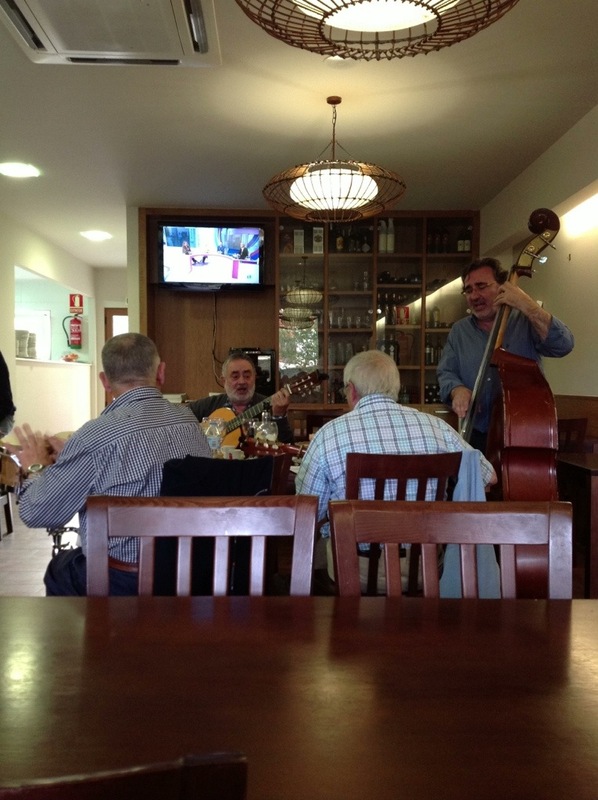 The highlight of the day was being part of a jam session of four old gentlemen in a bar just outside our albergue. It was most enjoyable to see the enjoyment these men had playing and singing together. It is moments like this that add meaning to the El Camino. 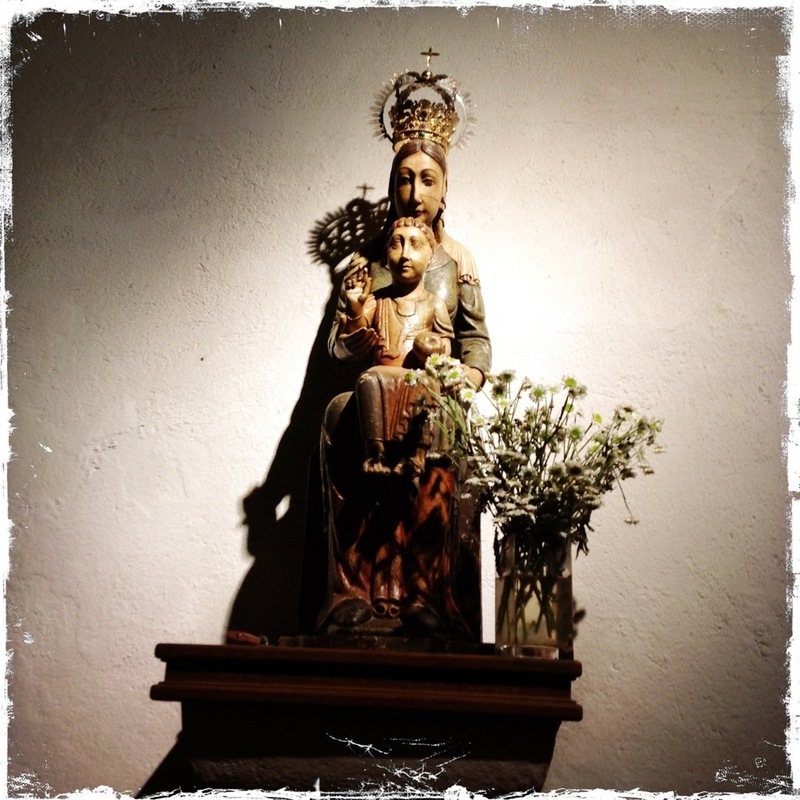 This entry was posted in Travel and tagged el Camino, solo, Travel, walking, women. Bookmark the permalink. 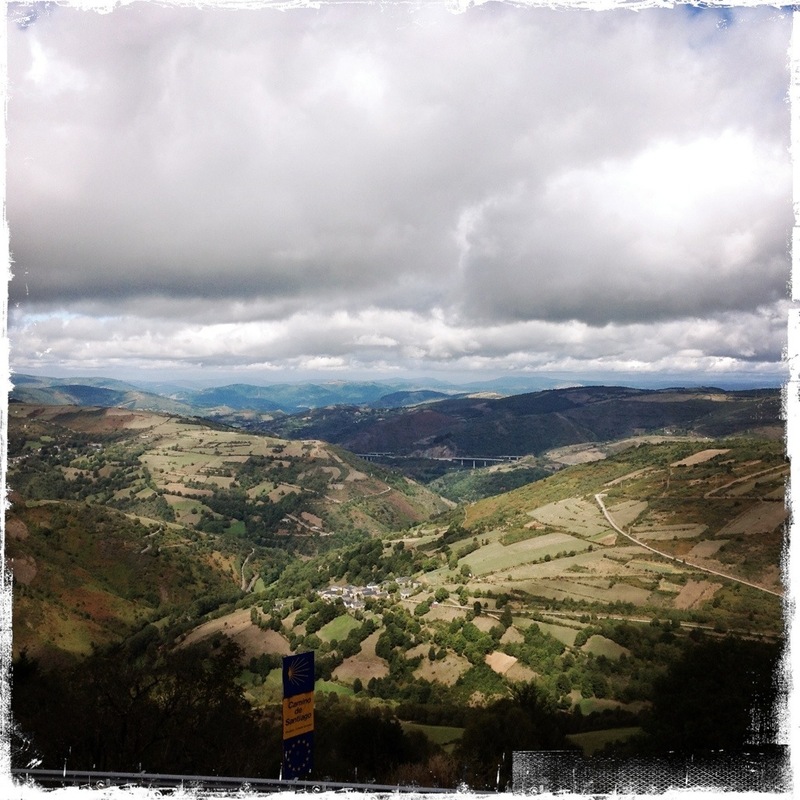 Awesome views from O’Cebreiro, so glad it was a clear day for you. Descent to Triacastela sounds a bit grim in all that rain. I’d have loved the jam session, playing bass rhythm with spoons is my claim to a musical talent!! !